I am a full-time permanent faculty member at Columbia College in Vancouver, British Columbia, where I teach English Literature and History. My work is based in Sociological, Historical, and Literary paradigms. My first PhD was in Comparative Literature at the University of Alberta. 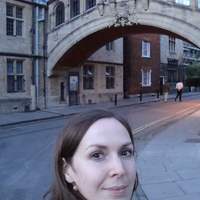 My dissertation, “‘When none can call our power to account’: Translating Sleepwalking in Discursive Practices,” operated in a Science and Technology Studies context to explore the intra- and extra-professional definitional practices that create social paradigms of sleep in legal, medical, and literary discursive fields. I am completing a second PhD in Sociology at the University of Victoria researching the administrative organization of universities. I am particularly interested in the social life of technology and the punctualization of knowledge in changing environments, in particular within professional bodies and during periods of intense social change, for which cultural products manifest from and are contextualized by. My graduate research and coursework comprehensively covered Early Modern through Modernist literary, historical, and social research (including the long Eighteenth Century and Victorian literatures). Based on my graduate coursework in History, Sociology, and Literary Studies, particularly in relation to institutional histories of Law and Medicine, my research work continues to focus on social histories of culturally contested literatures. I broaden this socio-cultural work through my background in ancient languages and highly traditional textual studies (BA in Classics with Latin and Greek philology) as well as modern European Languages (fluent Swedish with reading knowledge in Norwegian, French, and Modern Greek) and World Literatures (South American, African, and Southeast Asian literary traditions).